Flying over a field of hay. 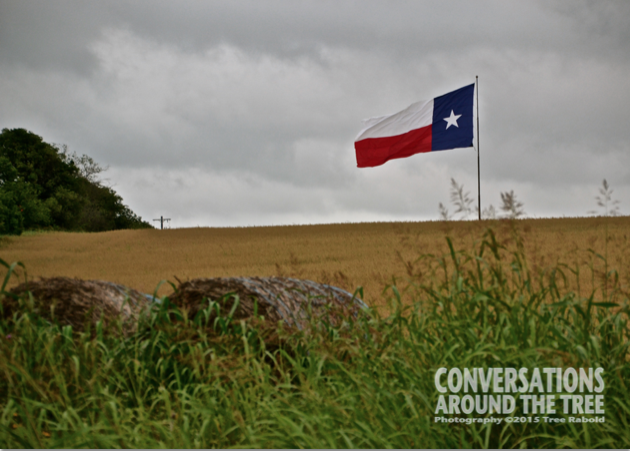 Before moving to Texas, a state flag was something you learned in school. I don’t remember anyone flying the flag of Ohio on their house or in their yard. I remember it standing in a corner of the cafeteria in elementary school but I don’t remember it flying in my neighborhood. In Texas the state flag is part of the culture. It flies along side the American flag. It is raised at every possible event. It is sold as a souvenir. There are even clothes made from this flag. I noticed this particular flag a few weeks ago while driving south on I35. I’m not sure if the photo does it justice….but this flag is huge. This entry was posted in Uncategorized and tagged 365 photos, Texas, Texas flag on May 26, 2015 by treerabold.